The tracks are tender, touching and emotional arrangements, highlighting the theatrical, as well as classical-like qualities, both in writing and performance of music that has touched millions around the world since ABBA first came together in 1972. The music on this album reinforces Benny's profound gift for melody . . .
. . . somber, restrained, wistful and altogether lovely . . . On "Piano", Mr. Andersson proves a superior instrumentalist who communicates the emotional core of the compositions . . . "Piano" affirms that Mr. Andersson, presented in stark relief, is a composer and instrumentalist of the first rank. Irrefutably melancholic, the album is also irrefutably beautiful. With virtuosity in service of elemental emotions, its effect lingers long after the final track fades. The memorable melodies for which Andersson is so well-known for are all there but the dulcet tones of the piano evoke a certain melancholia. These familiar and reassuring tunes just make us want to thank Andersson for the music.
. . . ["Piano" is Andersson's] latest musical masterpiece . . . These are tender, touching and emotional arrangements, highlighting the theatrical as well as classical-like qualities, both in writing and performance . . . The music on this album reinforces Andersson's profound gift for melody . . . ["I Let the Music Speak"] grows into a truly elegant classical artistic creation . 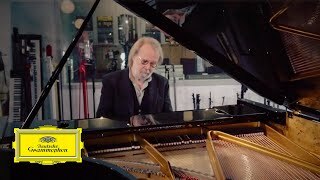 . . Much like the entire album, Andersson's interpretation of "The Day Before You Came" is breathtaking . . .
. . . a big success because its 21 tracks are not predictable, extending way beyond piano versions of Abba's greatest hits. And he plays really well . . . These tunes will bring back memories for all of us . . . "Piano" is full of new discoveries . . . At 80 minutes, it is not just a warm-hearted album, but a generous one . . . For an evening of easy listening, glass in hand, it's actually hard to beat, and will give much pleasure.
. . . magical . . . one of the most heartbreaking songs of all time . . . It's genuinely moving. And stops us in our tracks and draws us in every time. This was the unexpected treat of 2017 . . . all this music is dressed up in really nice, cod-romantic, classical piano style. 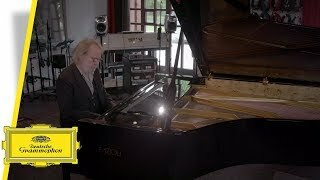 Cet album sobrement baptisé "Piano" qui vient de sortir chez Deutsche Grammophon, le très chic label de musique classique d'Universal, c'est un petit cadeau qu'il se fait. 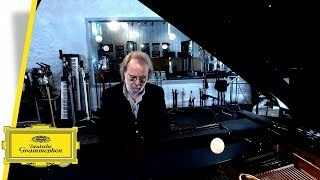 Benny Andersson talks about this first track of his new album.